While neither the V-6 equipped nor the new inline-4 powered 2.3CL provide classtoping performance, they're as capable as they need to be. And where they do lead their class is in amenities for the dollar. 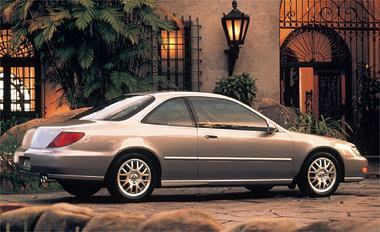 The 3.0CL uses a 3.0-liter sohc VTEC V-6 with 200 bhp. In the tradition of Acura V-6's, it's silky smooth, with an emphasis on torque; Acura claims 150 of the 195-lb.-ft. peak is available from just above idle to 6,000 rpm. Overall, the CL offers a full measure of subtle virtues. There's little that's overt about this car, wether in its pursuit of speed, its presentation of luxury, or its appearance -- the alien-eye taillights notwithstanding. Instead, the CL make understated civility its reason for being. And it expects much the same of its drivers. UPDATES: This car is no longer in production. 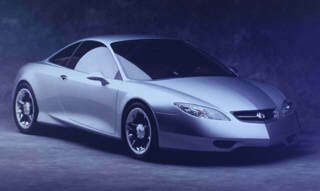 A new version will come out for 2000 or 2001 using the platform of the TL and somehow it may be a rear-drive car. Power will come from the 3.2 liter engine of the TL.